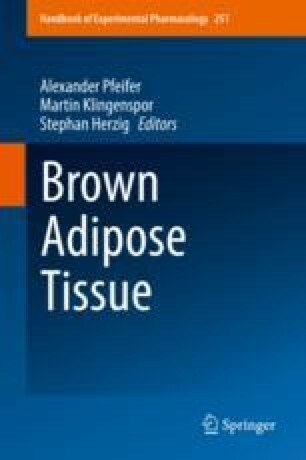 Brown adipocytes are the key cell type in brown adipose tissue (BAT) that express the genes required for heat production through the process of thermogenesis. Brown adipocyte cell culture models are important for researching the molecular pathways that control cell autonomous processes. In vitro tools for the study of brown adipocytes include BAT explant cultures and BAT primary cultures that are first proliferated and then differentiated. A number of stable brown preadipocyte cell lines have been generated by the expression transforming factors such as SV40 T antigen. The application of these cell lines reduces the requirement for animal tissue which is needed for primary culture and explants. Furthermore, brown adipocyte cell lines that effectively recapitulate the properties of brown adipocytes permit large-scale experimental procedures that are generally unfeasible with primary cultures that undergo a restricted number of cell divisions. Cell lines are valuable for applications such as large-scale endogenous protein expression, ChIP assay, and procedures requiring antibiotic selection over several cell divisions including stable exogenous gene expression and CRISR/Cas9 gene editing.